Do you know that you want to buy a truck, yet you are having a difficult time determining what style or size that you need? 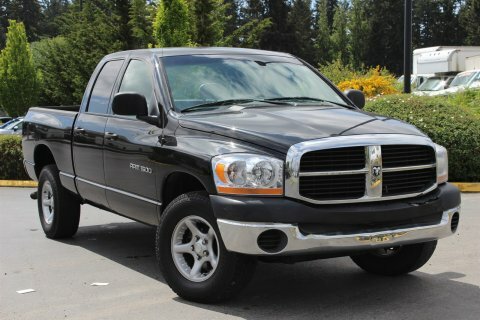 Shopping for any used trucks for sale in Snohomish County will always call for working with the professionals. After all, you need to have the right level of guidance and expertise so that you can pick out the perfect truck to exceed your expectations and help you to take on all of the jobs or adventures that you may have on the horizon. Maybe you have poor credit or you are simply not sure if your credit score is high enough to get a loan? If so, you should know that the in-house finance department at Carson Cars is ready and waiting to make sure that you get a deal on a great loan for the truck that you fall in love with. Our finance professionals will be able to help you take care of all of the paperwork and we deal directly with the major lending institutions so that you never have to work out the hassles. First time buyers, students, teachers, military and senior citizens can all benefit greatly from the selection of used trucks that Carson Cars has in their inventory. You deserve to have the pricing on a quality truck that you can trust to remain dependable for years. We invite you to stop by and take a look at the selection that is available and to learn more about how our sales team can help to save you money. Carson Cars is your answer when you are looking for tough, dependable used trucks for sale in Snohomish County. Call (855)583-9356 for information on selection. From the moment that you arrive at our dealership, you are going to understand what we mean by a true commitment to customer satisfaction.